Garabed Sarkis "Garo" Yepremian (June 2, 1944 – May 15, 2015) was an American football placekicker in the National Football League for the Detroit Lions, Miami Dolphins, New Orleans Saints, and Tampa Bay Buccaneers, during a career that spanned from 1966 to 1981. Yepremian was born in Larnaca, Cyprus to Armenian parents. Yepremian and his brother Krikor, who attended Indiana University on a soccer scholarship, emigrated to the United States. Garo, who had earlier played professional soccer in London, was not eligible to play NCAA soccer. After watching some of a football game on television, he decided to pursue an NFL career. With Krikor acting as his agent, he earned a contract with the Detroit Lions. Yepremian signed with the Detroit Lions on October 13, 1966. In his rookie year, he broke an American football record by kicking six field goals in a single game against the Minnesota Vikings. His talent aside, Yepremian was, nonetheless, at a loss regarding football vernacular and custom. In his first game his coach told him that their team had lost the coin toss, at which point Yepremian ran to midfield and dropped to his knees looking for the coin. Yepremian was an immediate target to NFL players who considered American football the exclusive realm of Americans. Players were looking to take Yepremian's head off, and before his first kickoff his coach told him to run to the bench as soon as he kicked before his opponents could lay into him. Yepremian kicked off, then in a harried state ran to the wrong bench, finding himself sitting with the opposing team. Yepremian had never worn a helmet and at first decided not to use one with a face mask, but that changed during Week 4 of the 1966 season, when he was knocked to the ground and badly injured by Green Bay Packers linebacker Ray Nitschke. Afterwards, he started using a single-bar mask. He was the last player in the NFL to not wear a facemask on his helmet. During one of his early games with the Lions, they were losing but scored a touchdown in the last 10 seconds of the game. Yepremian was sent in to kick the extra point, and he was so excited after converting the point that he went running off the field with his arms raised in celebration. Teammate Alex Karras asked Yepremian, "What the hell are you celebrating?" Yepremian replied with a phrase made famous on The Tonight Show Starring Johnny Carson: "I keek a touchdown". After the 1967 season, Yepremian left football to enlist in the U.S. Army. When he returned to the Detroit area in 1968, however, the Lions chose not to re-sign him, so Yepremian signed a contract to be a kicker/punter for the Michigan Arrows of the Continental Football League. The Arrows, however, were a disaster on the field (1-11) and at the gate (drawing barely 4,000 fans a game in Detroit) and folded at season's end. After sitting out the 1969 season, Yepremian earned a spot on the Dolphins roster in 1970. After leading the NFL with 117 points in 1971, he was a key member of the 1972 Miami Dolphins "Perfect Season" team - he was the leading scorer and converted on many clutch field goals to help the Dolphins stay unbeaten. Yepremian appeared in three Super Bowls (VI, VII and VIII). Over his career, Yepremian was successful on 210 of 313 field goals and 444 of 464 extra points for a total of 1,074 points. He led the league in field-goal accuracy three times. Yepremian is best known for two feats — one famous, one infamous. In a divisional playoff game against the Kansas City Chiefs on Christmas 1971, he kicked a 37-yard field goal 7 minutes and 40 seconds into double overtime, ending the longest game in NFL history and sending the Dolphins to the AFC Championship game against the Baltimore Colts (which the Dolphins won to go on to Super Bowl VI). Despite all of Yepremian's success, many people remember him for an incident in Super Bowl VII in 1973. With his team leading the Washington Redskins 14-0, Yepremian was sent on to the field to kick a field goal with slightly more than two minutes left, which would have put the game out of reach. The field goal attempt was blocked by Bill Brundige, and Yepremian managed to get to the ball before any other player did. Instead of just falling on the ball to preserve the Dolphins' 14-0 lead, he picked it up and frantically attempted to throw a pass. The ball slipped from his hands and went straight up in the air. Yepremian then attempted to bat the ball out of bounds but instead batted it back up in the air, and it went right into the arms of his former Lions teammate, Redskins cornerback Mike Bass, who returned it for a touchdown. The Dolphins managed to hold on to win, 14-7. Yepremian later joked to reporters after the game, "This is the first time the goat of the game is in the winner's locker room." In the 1973 Pro Bowl Yepremian kicked five field goals to lead the AFC to a win, and was voted Most Valuable Player in that game. He was elected to another Pro Bowl after he kicked twenty consecutive field goals without a miss in 1979. Named to Sports Illustrated's “Dr. Z's All Decade 1970s Team"
Yepremian was a motivational speaker and was the Founder/CEO of the Garo Yepremian Foundation for Brain Tumor Research. Reebok featured Yepremian and his teammates from the 1972 Dolphins team in a commercial which aired during Super Bowl XLII. Yepremian died on the morning of May 15, 2015 from brain cancer at the age of 70. 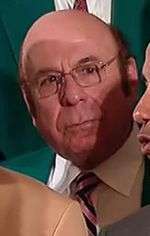 1 2 3 4 "Garo Yepremian on Super Bowl Gaffe: "I turned it into a positive"". huffingtonpost.com. Archived from the original on May 16, 2015. Retrieved May 16, 2015. 1 2 3 4 5 6 7 Gonsalves, Rick (2013). Placekicking in the NFL: A History and Analysis. McFarland. pp. 157–160. 1 2 3 4 5 6 "The Kicker". garokicker.com. Archived from the original on May 16, 2015. Retrieved May 16, 2015. ↑ "Players:" (PDF). americanfootballassn.com. Retrieved May 16, 2015.